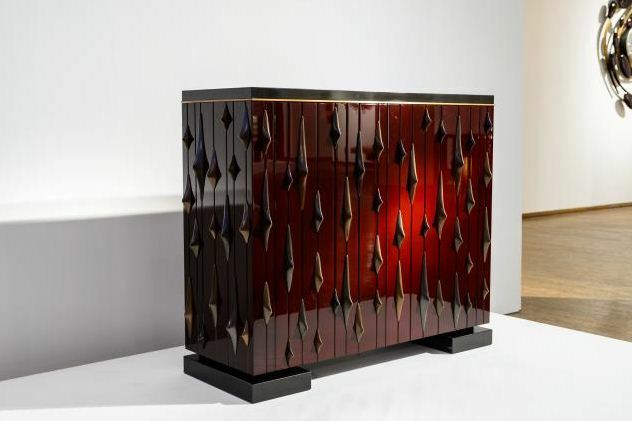 Van der Straeten is known for designing pieces for wealthy clients, items such as this lacquered bronze and marble console, which goes for $88,000. The white of this, Buffett Cicolore, is actually parchment. 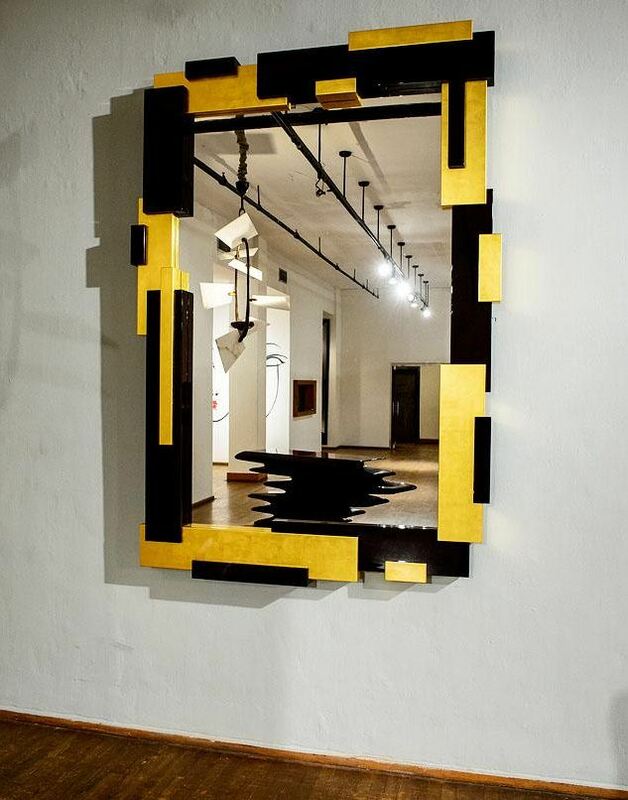 A series of mirrors gave the show a reflective vibe. 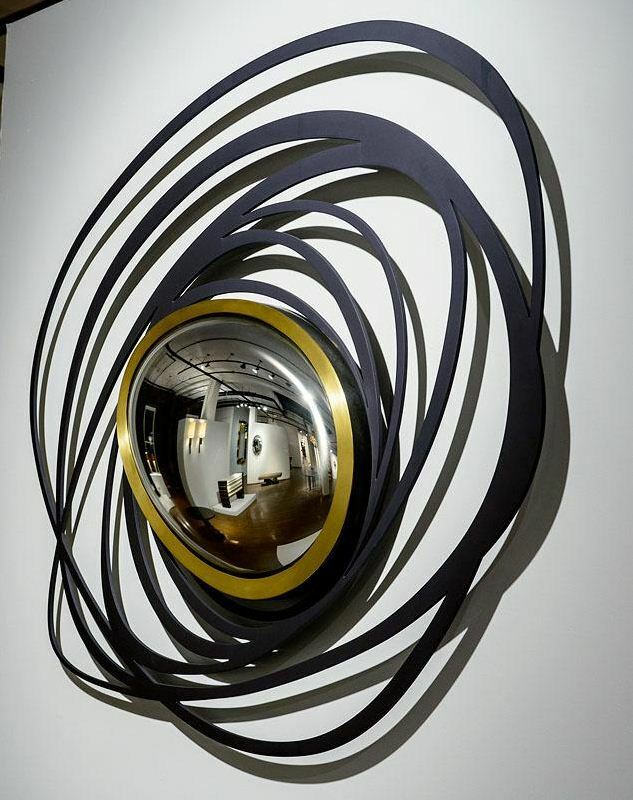 Van der Straeten’s Miroir Nebuleuse is made of anodized aluminum with a gilt patina bronze frame. The mirror is curved. 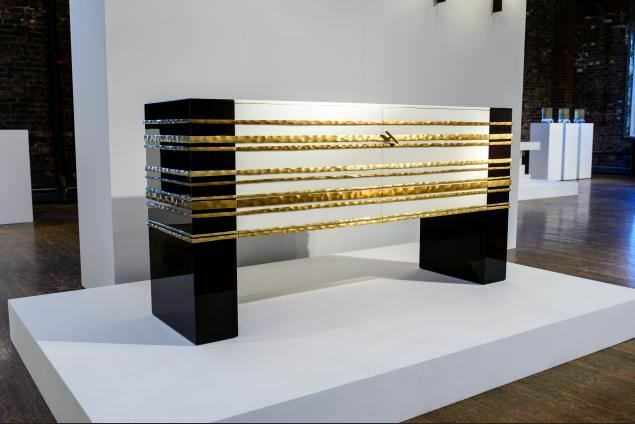 The price to the design trade us $29,100. 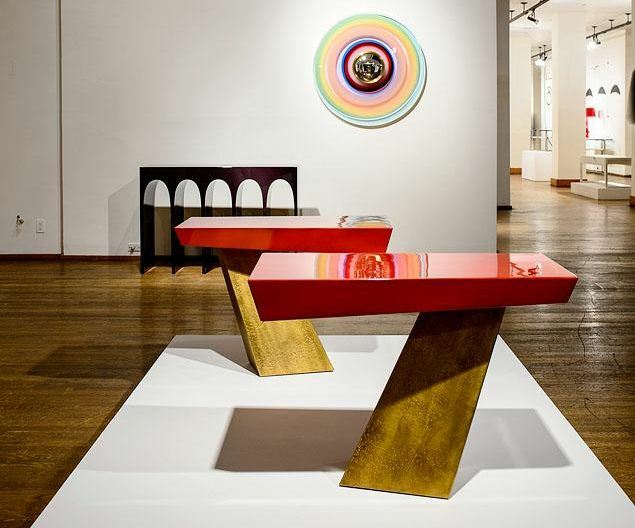 Various Van der Straeten pieces were scattered about the 15,000-square-foot loft space. 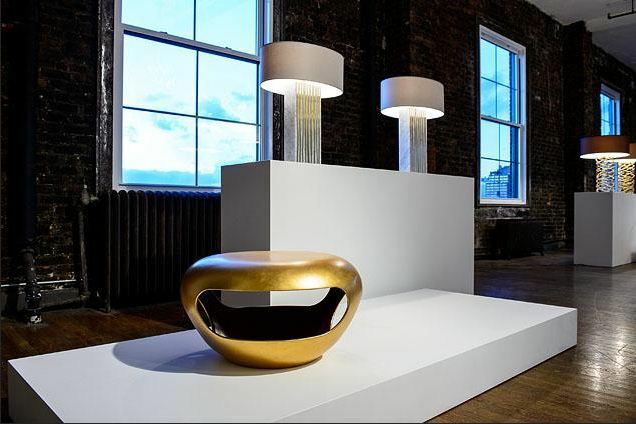 The Tabouret Capsule is a decorative and sculptural seat that would look good in any setting.